Welcome to Lake St. James! Our gorgeous lakeside apartments in Conyers, GA provide a peaceful oasis to recharge and relax. Go ahead and look through our one-, two-, and three-bedroom floor plans to find your next home. We offer several different floor plan options so you will be able to find the right design and fit to match your needs for a home. The comfort of our residents is important to us at Lake St. James and it shows in our thoughtful in-home and community features. Our beautifully landscaped community includes impressive outdoor amenities like our on-site lake with fountains, tennis court, playground, and BBQ/picnic areas. We even have a dog park designed with fun obstacles for your pet! Our gated outdoor swimming pools are another popular amenity you will love, especially on a hot summer day. Indoors you will enjoy our clubhouse, Wi-Fi lounge, State of the Art Fitness Center, and laundry facility. Step inside your new home and discover inviting features like hardwood floors (in select homes), kitchen appliances, high ceilings, walk-in closets, a private balcony, and much more. Each home comes complete with washer and dryer hookups available for your use. Enjoy lakefront views from the comfort of your air-conditioned home. Even better, you will have easy freeway access to Atlanta and the surrounding cities! Enjoy a quick and easy commute to work, school, or wherever you may be headed. You’ll also enjoy proximity to local attractions including the 20th Century Fox Film Corporation, the Arabia Mountain Heritage Area, and Nature Center. Our community is just minutes away from several restaurants, shopping centers, entertainment options, and more. Spend some time getting to know our community here on our site, and feel free to give us a call to schedule a tour or start your online application today! Woof, woof, meow, meow! We love our furry friends.  Lake St. James is a pet-friendly community! There is a non-refundable pet fee of $350.00 per pet and an additional $15.00 per month. Breed restrictions apply.